Flickr/Frank FujimotoThe Apple Lisa, one of the very first commercial computers with a graphical user interface. 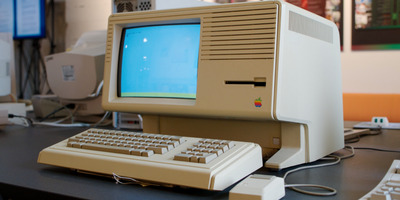 Apple Lisa was a famous Apple flop, selling only 10,000 units on a $US150 million R&D investment. The Lisa pushed the boundaries for what was possible on the PC at the time: It had windows and icons, and you could sort individual documents into folders. It also required a mouse to operate. In 1983, this was cutting-edge stuff. Apple spent a reported $US150 million developing the Lisa. But the Lisa was doomed from the get-go. It cost about $US10,000 in 1983, which, adjusted for inflation, would be about $US24,000 today. Meanwhile, IBM offered far cheaper, albeit lower-tech, machines. Apple pulled the plug on Lisa three years after launch, with only about 10,000 units sold. The first Macintosh famously launched in 1984, carrying the torch. Then-Apple CEO John Sculley had Jobs removed from the Lisa project, which kicked off years-long animosity between the two. Ultimately, a boardroom brawl would result in Jobs quitting in a huff to start his own company, NeXT Computer. Apple would go on to buy NeXT in 1996, bringing Jobs back into the fold. By 1997,Jobs had become CEO of Apple, leading the company to its present status as the most valuable in the world.